Ferrograph Super Seven for sale. 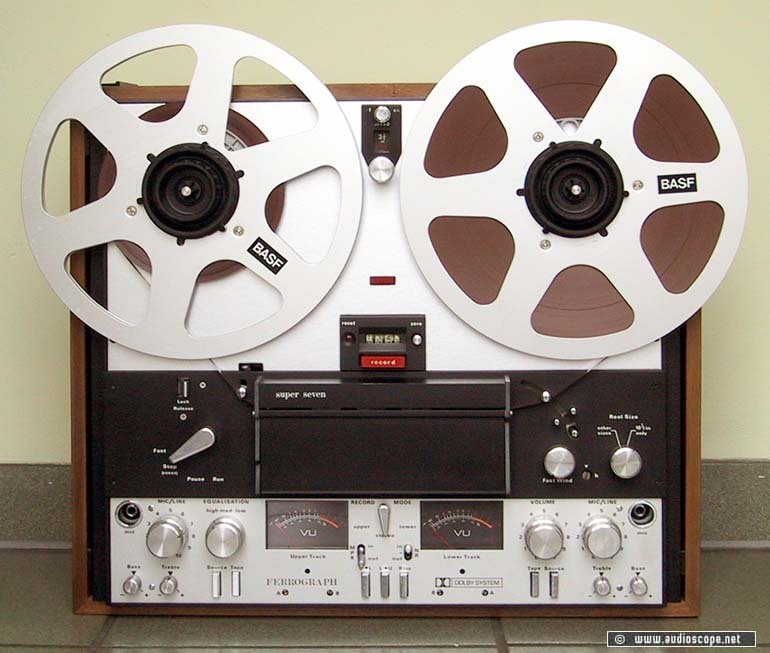 Reel to Reel in very good optical and technical condition. The idler weels and pinch roller has been recently replaced. This is a 2-track 3 speed machine. 4.8, 9.5 and 19 cm/sec or 1.7/8 + 3.3/4 or 7.5 inch/sec. Bias and level is adjustable for its user.